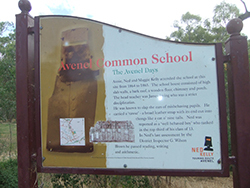 Red Kelly rented a 40-acre farm in Avenel from Elisabeth Mutton for £14 per year. They lived here from 1864 to 1867 and Ned’s youngest sister Grace was born here. 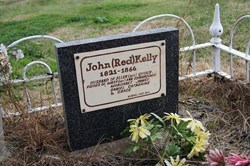 The Kellys ran the farm for dairying and sold milk and butter in the local community. It was a struggle to make ends meet and drought compounded their problems. This led Red to steal a calf for food from a neighbouring property owned by the Morgans and he was sentenced to six months hard labour. As the oldest son, Ned took his father’s place on the farm – a big responsibility for an 11 year old in a family of six, then seven, children. 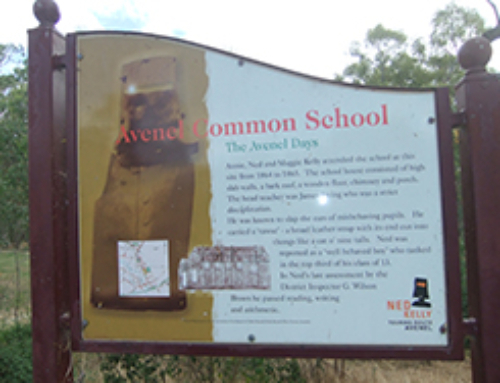 In December 1866 Red died of dropsy and was buried in Avenel Cemetery. Within a few months of Red’s death, Ellen was taking out her frustrations on relatives and neighbours alike. This landed her in court, where she was found guilty on two occasions and in both instances fined 40 shillings or seven days’ detention. On the second occasion two local businessmen paid Ellen’s fine and gave sureties for her to keep the peace. Realising that she and her children were in dire straights, Ellen packed the family belongings and moved them, by dray, north-east to Greta to be closer to her family, the Quinns, and her married sisters. 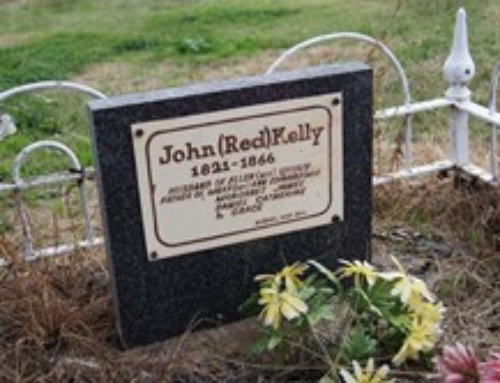 Around the time they left Avenel, dairyman Michael Kelly, who had not seen eye to eye with the Kellys, reported to police his suspicion that Ned had taken his lost mare. No warrant was issued and nothing came of the report. However, the following month’s Police Gazette referred to Edward Kelly as ‘Charged with Horse Stealing’.